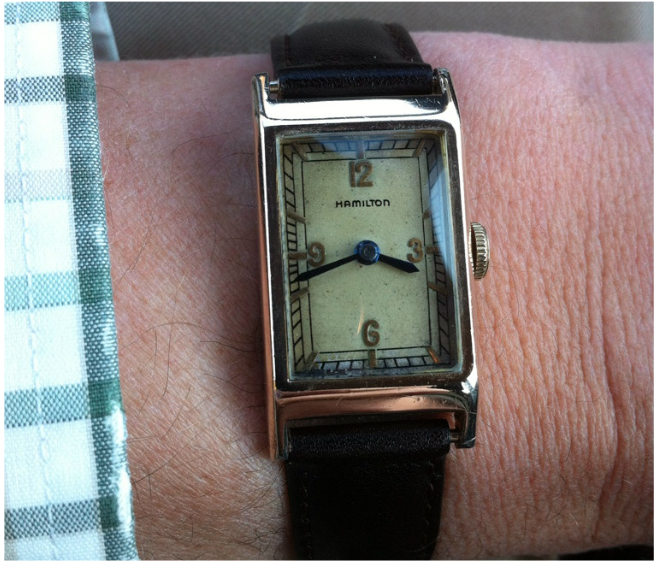 Vintage Hamilton Watch Restoration: 1936 Norfolk - "Strong enough for a man..."
Funny - I'm actually wearing the watch at the bottom of this post today. Prices would vary based on the condition of the case and dial, etc. and if the movement is recently serviced. If everything is in good condition and the movement is recently overhauled, I think something in the $200 range is fair. The black combination dial is less common though and probably worth a little more than the AGN version. The 989 and 989E are identical except the 989E has an Elinvar hairspring - which was introduced in 1934-ish. The 989 was produced from 1928 until 1936. The 989's in the 1935/36 period would have had Elinvar hairsprings. So you'd expect to see a 989E in a Norfolk. 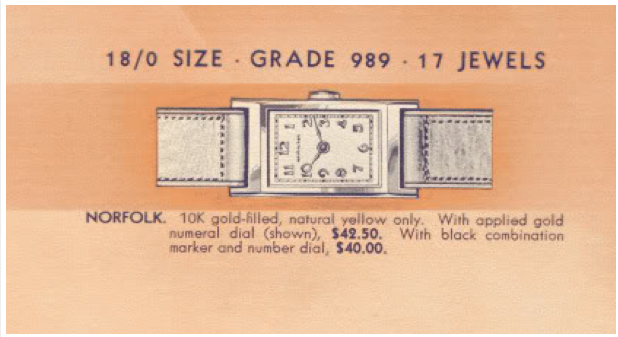 It wasn't that popular because it's a little smaller than the 14/0 based watches of the time and there's no second hand. But since the movement stopped being made there weren't that many Norfolks to begin with. As for would I sell one of mine - you'd need to email me using the "click here" above. I believe I own the version without the gold numerals. It was my daily watch for the better part of the nineties, until it stopped holding a wind. 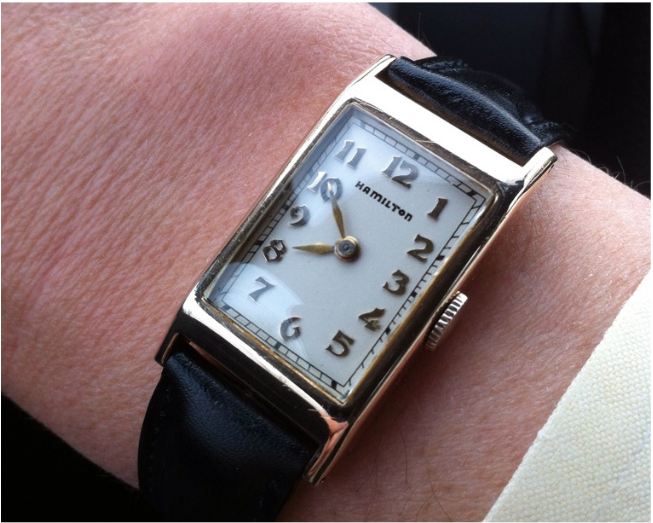 I’ve recently had it overhauled and have worn it a few times as a dress watch. It’s amazing how much more comfortable a vintage watch is to wear.